Scientists have successfully reversed the aging process in mice according to a new study just released. Human trials are to begin next, possibly before the year is over. The study was published in the peer reviewed science journal Cell after researchers from both the U.S and Australia made the breakthrough discovery. Lead researcher David Sinclair of the University of New South Wales says he is hopeful that the outcome can be reproduced in human trials. 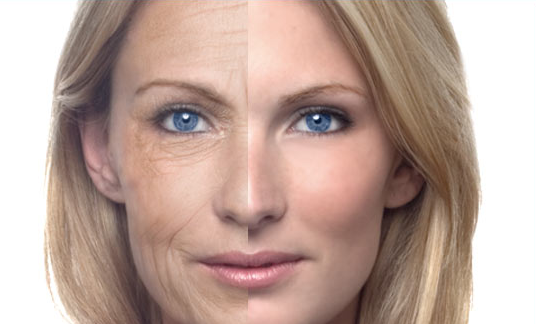 A successful result in people would mean not just a slowing down of aging but a measurable reversal. I’ve been studying aging at the molecular level now for nearly 20 years and I didn’t think I’d see a day when ageing could be reversed. I thought we’d be lucky to slow it down a little bit. The mice had more energy, their muscles were as though they’d be exercising and it was able to mimic the benefits of diet and exercise just within a week. We think that should be able to keep people healthier for longer and keep them from getting diseases of ageing. The compound the mice ate resulted in their muscles becoming very toned, as if they’d been exercising. Inflammation, a key factor in many disease processes, was drastically reduced. Insulin resistance also declined dramatically and the mice had much more energy overall. Researchers say that what happened to the mice could be compared to a 60 year old person suddenly having the muscle tone and energy of someone in his or her 20s. What’s more, say the researchers, these stunning results were realized within just one week’s time. The compound raises the level of a naturally occurring substance in the human body called nicotinamide adenine dinucleotide. This substance decreases as people age, although those who follow a healthy diet and get plenty of exercise do not suffer the same level of reduction in the substance as do people who do not exercise. This may explain why people who remain fit into their senior years often enjoy better health than others. Scientists who participated in the study say that poor communication between mitochondria and the cell nucleus is to blame for the aging process. The compound the researchers have developed cause the cells to be able to “talk” to each other again. They compared the relationship between the nucleus and the mitochondria to a married couple; by the time the couple has been married for 20 years, “communication breaks down” and they don’t talk to each other as much. Just like a marriage, this relationship and communication within it can be repaired, say the researchers. Aging has successfully been reversed in mice, but Sinclair says he needs to raise more money before he can commit to a date when trials may begin in humans. The results of this initial study in mice are very promising and may pave the way for similar results in humans.